What will $1,300 rent you in the Chicago Metro area, right now? Curious just how far your dollar goes in the Chicago metro area? We compared what $1,300 might get you in Aurora, Chicago, Elgin, Evanston and Forest Park, using data from rental site Zumper to present a snapshot of the area's rental landscape. This 1,126-square-foot two-bedroom, one-and-a-half-bathroom townhome is located at 3456 St. Barthelemy Lane in Aurora. Asking $1,300/month, it's priced 11 percent below the $1,468 median rent for a two bedroom in Aurora. The unit features carpeted floors, high ceilings, a dishwasher, a fireplace, garage parking and laundry hookups. Pets are not allowed. Per Walk Score ratings, this location is car-dependent and offers limited transit options. Next, there's this one-bedroom, one-bathroom apartment situated at 4950 N. Marine Drive in Chicago's Margate Park neighborhood. It's also listed for $1,300/month for its 555 square feet of space--16 percent less than Chicago's median one-bedroom rent of $1,550. In the unit, you're promised hardwood flooring, closet space, wooden cabinetry, a breakfast bar and ceiling fans. In the building, expect a door person, an elevator, storage, outdoor space, a business center, an exercise room and a sun deck. Pets are welcome with a pet deposit, though large breed dogs are excluded. According to Walk Score's assessment, this location is friendly for those on foot, is quite bikeable and is a haven for transit riders. Listed at $1,295/month, this two-bedroom, two-bathroom condo at 1012 Lincolnshire Court, #B, in Elgin is six percent below Elgin's median two-bedroom rent of $1,385. In the condo, you'll get a dishwasher, a mix of hardwood floors and carpeting, air conditioning, wooden cabinetry and large windows. On-site laundry and garage parking are offered as building amenities. Good news for animal lovers: both dogs and cats are welcome here. According to Walk Score's assessment, the area around this address requires a car for most errands and has some transit options. Next, check out this one-bedroom, one-bathroom apartment at 532 Hinman Ave., #534-2W, in Evanston. It's listed for $1,300/month, which is 24 percent less than Evanston's median one-bedroom rent of $1,700. Apartment amenities include hardwood flooring, high ceilings, a dishwasher, air conditioning and wooden cabinetry. The building features on-site laundry. For those with furry friends in tow, know that cats and dogs are permitted on this property. Per Walk Score ratings, this location is very walkable and has a few nearby public transportation options. 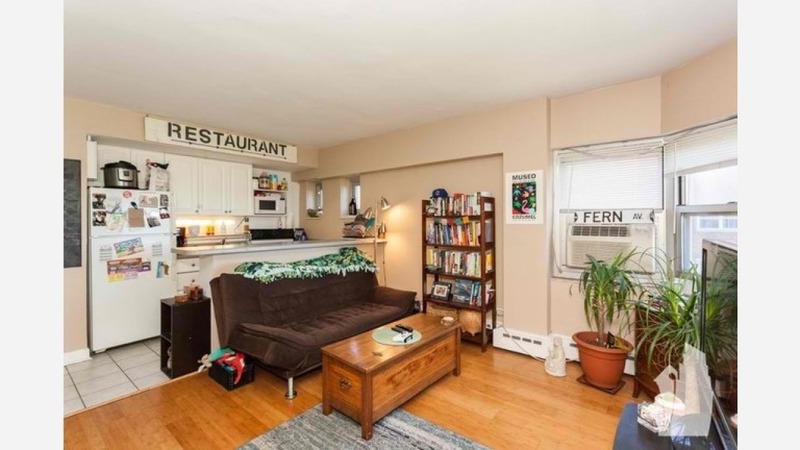 Finally, here's a three-bedroom, one-bathroom apartment at 926 Beloit Ave., #1, in Forest Park, listed at $1,270/month. That's 26 percent less than Forest Park's median three-bedroom rent of $1,725. In the unit, you can anticipate hardwood floors, a stove, wooden cabinetry and ample natural light. When it comes to building amenities, expect on-site laundry and storage space. Animals are not welcome. Walk Score indicates that the surrounding area is quite walkable.